Today we’re starting the next book in The Bestseller Code 100 challenge, The Darkest Evening of the Year by Dean Koontz for Book Beginnings on Fridays. Dean Koontz is throwing us right into the action with this first sentence. I was curious about the photograph on the book jacket of Dean Koontz and a golden retriever, so I went to his website. 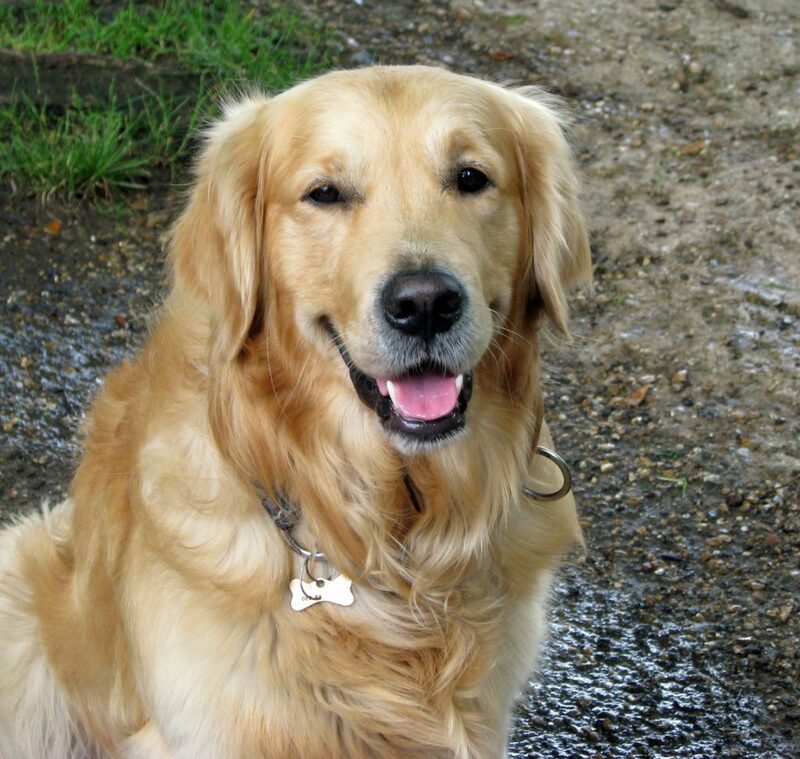 It turns out that he had a golden named Trixie. She died in 2007, the year this book came out. He says he couldn’t write for a month after he lost her. Knowing this will probably change how I look at this book. Obviously this is going to be a very personal story, even though it is fiction. Are you a Dean Koontz fan? Have you read this one? It has been a long while since I read Dean Koontz. I need to check out this book. Thanks for sharing…and for visiting my blog. I’ve never read anything by the author but the beginning really sucked me in. This week I have A Cold Day in Hell by Lissa Marie Redmond. Happy reading! What a beautiful dog! It definitely sounds like this is going to be a more personal story. I hope you enjoy it! I too, haven’t read any Dean Koontz, for some time now, although he used to be a stock favourite of mine. It seemed as though his writing style changed over the course of the years, and not in a way which I personally found very appealing. Would this one get it back for me? I don’t really know, as I am struggling to work out the link between the rescue dogs and the stalker / potential murderer. Those first lines definitely wouldn’t put me off reading the book though, as I know plenty of people who drive like that – unfortunately!! I’ve never read a Dean Koontz book…because I’m afraid to. For me, he’s scarier than Stephen King, who I stopped reading years ago because the stories started to unsettle me. His books do contain some disturbing violence, even this one. I haven’t read anything by Dean Koontz but have heard a lot of good things about his books. This one seems pretty interesting. Dean Koontz is one of those popular authors that can slip through because he’s everywhere. I hadn’t read any by him until this year. I haven’t read a lot of Dean Koontz but that is an awesome book beginning! Right into the action! What a beautiful dog! <3 Doesn't that break your heart about Trixie? Yes, it is sad about Trixie. I think his relationship with her shines through in the book. You had me at her rescuing a Golden Retriever. 🙂 It’s been awhile since I read a Koontz book. This does sound good! I haven’t read any Dean Koontz in years – I’m interested in seeing what you ultimately think of this book. Thanks for sharing! Karen and I will both be putting up reviews this week. Usually we post our reviews in the second week after the challenge starts, but we both finished this one early.